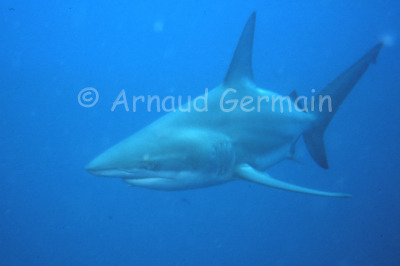 The blacktips I encountered in South Africa were always in schools. They can be quite inquisitive. I took the picture as we were baiting for tiger sharks. There were at least 60 blacktips in the water and they came pretty close as I had to repel a few with kicks: they liked my yellow fins. They were not aggressive, just curious. It is usually hard to approach sharks to take a picture. Not on that dive!